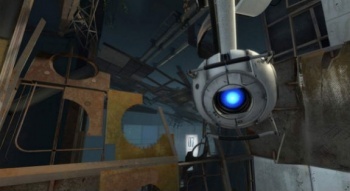 Portal 3 on a Nintendo console? It could very well happen, thanks to the Wii U. It's a sad fact that Nintendo consoles suffer from a significant shortage of Valve games, and while the PS3 and Xbox 360 enjoy all the fruits of Valve's labours - well, most of them anyway - Nintendo gamers are left out in the cold. All that could change with the Wii U however, as Valve boss Gabe Newell indicated that the console's extra power means that it may feature in the developer's future plans. "[The Wii U] sort of fits better into the scalability in terms of graphics performance and CPU performance, so I think it'll be a lot easier for us to fit it into our scalability model," he said, adding that Valve had always been Nintendo fans. With Nintendo putting out an HD capable console, he continued, it was a lot easier to see it in the same framework as the likes of Sony and Microsoft. Newell isn't the first to say that the Wii U's improved capabilities would make it easier to get third party games on a Nintendo platform: Nintendo itself has admitted that the Wii's comparative lack of power resulted in a lack of third party titles. It would be interesting to see what Valve can do with a controller with large touch screen in the middle; I can't help but think it would make for some pretty interesting Portal levels. On the other hand, it's hard to imagine that Valve would have much luck getting Nintendo to agree to put Steamworks on the Wii U, that seems like more control than Nintendo is willing to give away.